Standing at almost a metre tall, the maned wolf is the largest Canid in South America and the only member of its genus, Chrysocyon . The maned wolf is not closely related to any other living canid. It is not a fox, wolf, coyote, dog, or jackal, but a distinct canid. With a golden-red coat, long pointed muzzle and large erect ears, it is similar in appearance to the red fox (Vulpes vulpes). However, its extremely long, thin legs make the maned wolf immediately recognisable and, with its fox-like attributes, have earned it the epithet 'a fox on stilts'. This distinctive feature is thought to be an adaptation to help the animal see above the tall grass of its habitat. 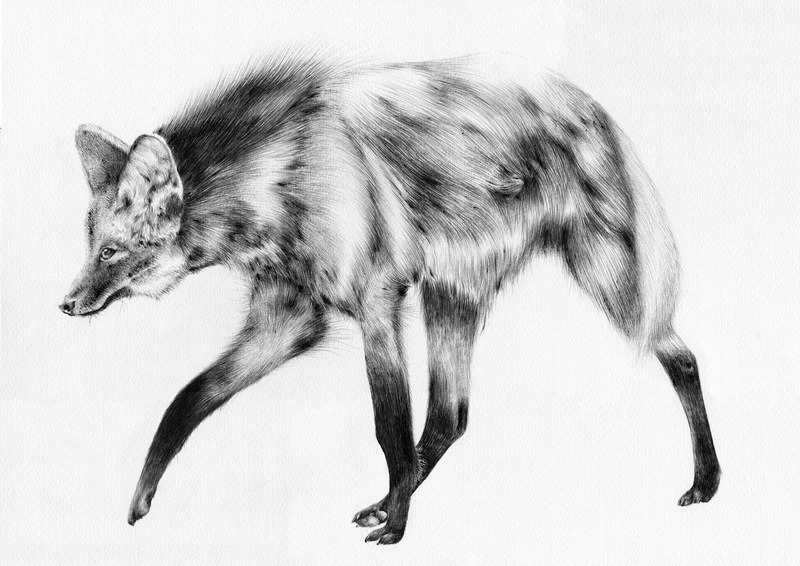 The common name, 'maned wolf', is derived from the characteristic mane-like strip of black fur running from the back of the head to the shoulders, which stands erect when danger is sensed. The muzzle and lower legs are black, while the throat, inside of the ears and tip of the tail are white.